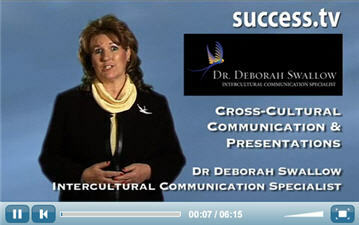 Executive Communication Coaching « Dr Deborah Swallow – Global Cultural Diversity..
As a business leader, you are often isolated, needing an impartial, external eye and ear to guide your communication and leadership style, especially to develop a strong message that transcends cultures. Deborah offers one-to-one coaching (face-to-face or virtually) to senior executives, diplomats, and politicians on the international stage. Her programme has been specifically developed for those who work across cultural boundaries to undertake negotiations, attend meetings or present to international audiences and who want to increase their personal impact, authentically. Deborah’s leadership coaching is focused on the individual, and looks at uncovering the authentic self and unique strengths. Then Deborah provides advice and feedback on intercultural skills, international business practices and cross-cultural communication that will project you in a consistently positive and powerful way – ready to do business in a flat world marketplace. develop your strengths, refine and polish your material, augment your existing skills instead of teaching you a new language! In essence, working with Deborah will give you an international professional competitive edge. Yet each programme is tailored to the individual client following an initial discussion. To book an initial meeting with Deborah simply call Deborah’s office on +44 (0) 207 1936 281 or email here.